I help you almost once a week at the grocery store with your seafood purchases. I doubt you'll see this, but if you do, please respond back. I'll know it's you when you tell me the specific seafood you ask for each week. Mmm also, seafood sure is great. 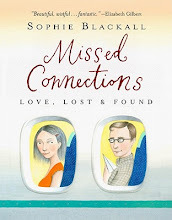 I love you Sophie Blackall! Your work motivates me!!! amazing...so adorable...do you think she knows? Sophie, I have a little game going on...will you join the fun? Ah this is my favourite to date, how obscure! Well, I'm a vegetarian and yet I fully support this relationship and would also very much like to know what she buys! My first thought was "mermaid" but I don't think you eat those. Oh, just gorgeous! As always! As always, your vision is peerless. Love your blog. It's perfect! Aaawww! Cute. I love the details; she looks like a sixties singer. of course he'd have to point out that she was "well spoken". Love the octopus' spots with the spots on her dress. 3 weeks per post. The long wait is so cruel! Again very nice drawing! I am your fan from Germany! Why don't you draw a picture about a m4m or w4w missed connection? Or have I just missed them? Here are a few of the w4w and m4m ones...there are others earlier, and more to come. Thanks everyone for your lovely comments; this would have been a short-lived project without them. Wonderful illustration! I just love these... makes meeting strangers and the glimmer of hope into a beautiful thing. ummm...well spoken...she might not appreciate that term of reference. I may be wrong, but I doubt it. I have been described as "well spoken" a million times and I tend not to like it. For further reference, here is a link to an article by Pulitzer prize winning journalist Eugene Robinson that states my opinion better. Well, if she's glad he posted, I bet she likes it. And how else will she knows it was for her? Wow, I really admire what you do on your blog here! It makes me think more, and feel inspired to get to know people better. 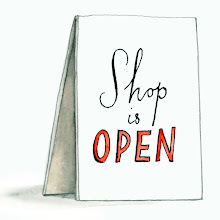 I stumbled across your blog and I adore the freshness and simplicity of your illustrations and writing. The small everyday interactions with people speak volumes about us. Very nice. Love your work! It's so sweet and romantic. I will follow your blog. Another wonderful job, Sophie! Love the tiled green background. There is such a brilliance to everything you illustrate I am IN LOVE! I miss this blog so much while you are away! I read all your posts over the course of a day and your style of illustration is so whimsical. I sent your link to a friend and she did the same. I've been looking at missed connections now just to read what sweet/funny things people have to say about each other. I love your works and blog! For anybody looking to buy a gay sizegenetics, then you can get one should you go to your discreet site online that would present to you the services that you simply are looking for combined with a gay sizegenetics. Once you need find a sizegenetics who is gay and will know the appropriate ways to do to cya of you, the most efficient way to find them requires you to evaluate who works for agency and who will supply you with the services you ought to need.